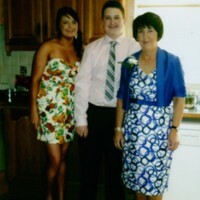 A photo of Ita McClelland with her son and daughter dressed for a wedding. 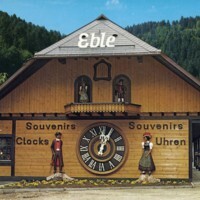 A photo of a clocks and souvenir shop in Switzerland. 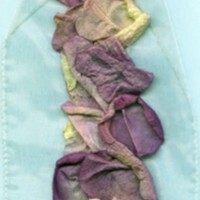 This is part of a ribbon from a gift received by Avril Patterson. Roses are her favourite flower.